Lectionary readings from the Episcopal Lectionary: Christmas 1 BCP, Christmas 2 BCP, Christmas 3 BCP / Christmas 1 RCL, Christmas 2 RCL, Christmas 3 RCL. A movie that take place on a Christmas Eve is Midnight Clear, set in a modern day American town, is about a group of people from very different backgrounds but all of them are very lonely, and a couple are even desperate. This is not to be mistaken for A Midnight Clear, also a good film set in WW 2 Germany in which a squad of German and one of American G.I.s seek shelter in a cabin occupied by a woman and her son. Ed McNulty, Visual Parables. Christmas Eve / Christmas Day, 2017. Christmas Eve / Christmas Day, 2016. Christmas Eve / Christmas Day, 2015. Christmas Eve / Christmas Day, 2014. Christmas Eve / Christmas Day, 2013. Christmas Eve / Christmas Day, 2012. Christmas Eve / Christmas Day, 2011. Christmas Eve / Christmas Day, 2010. Christmas Eve / Christmas Day, 2009. Christmas Eve and Christmas Day, 2008. Lectionary Commentary, Worship Resource, Cultural Resource, 2013. Lectionary Commentary, Worship Resource, Cultural Resource, 2012. Lectionary Commentary, Worship Resource, Cultural Resource, 2011. Faith in Process, David Grant Smith, 2017. Christmas Eve, Christmas Day, Sermon Seeds, Kathryn Matthews, UCC, 2017. Living a Holy Adventure, Bruce Epperly, The Adventurous Word, 2017. Disclosing New Worlds, Christmas Eve/Day, commentary and reflections, Lawrence Moore, 2014. Girardian Reflections on the Lectionary, Christmas, by Paul Nuechterlein & Friends. Social Justice Lectionary, Bruce Sweet. Sermon Brainwave: December 24, December 25, Lectionary podcast featuring Profs. Rolf Jacobson, Karoline Lewis, and Matt Skinner, discussing the week's passages in light of current events. At Luther Seminary's WorkingPreacher.org. 2017. "Walking to Bethlehem," Janet H Hunt, Dancing with the Word, 2017.
living by the Word,Martha Spong, 2017. Sacredise: Christmas Eve, Christmas Day, 2017. "Living Christmas," Marshall Jolly, "The Frustrating Child," Ryan Young, Modern Metanoia, 2017. Preaching Tip of the Week, Bob Eldan, preachingtip, 2017. Lynn Miller, Building or Growing, celebrating our creative and living God by generating art and architecture resources for congregations and individuals. Art and Faith Matters facebook page contains additional resources. "The Divine Exchange," David Lose, ...in the Meantime, 2016. "The Meaning of Christmas," Karoline Lewis, Dear Working Preacher, 2016. "There's Nothing about Mary," "Twas the Night Before Birthing", Emily S. Kahm, Modern Metanoia, 2016. "Re-Telling the Story," Janet H. Hunt, Dancing with the Word, 2016. Christmas Eve, Christmas Day, Living by the Word, Cleophus J. LaRue, 2016. "Doxology against Dogma," Glenn Monson, Law & Gospel Everywhere, 2016. Christmas Eve, Christmas Day, Sacredise, 2016. "Midnight Clear," Melissa Bane Sevier, Contemplative Viewfinder, 2016. "Outside," Lynn Miller, Art & Faith Matters, celebrating our creative and living God by generating art and architecture resources for congregations and individuals. Art and Faith Matters facebook page contains additional resources. "The Right Word," Michael Simone, America: The National Catholic Reporter, 2016. At the Edge of the Enclosure, Suzanne Guthrie, several pages for the Nativity season. "A Child Is Born," Robert Cornwall, Ponderings on a Faith Journey, 2016. "Keeping the Peace," Andrew Prior, One Man's Web, 2016. Reflections and Resources, Fay Rowland, The Reflectionary, 2016. "The Need for Christmas Preaching," Karoline Lewis, Dear Working Preacher, 2015. "Keep It Simple," David Lose, ...in the Meantime, 2015. "Christmas Eve: Light Has Shined," Jan Richardson, 2015. The Truett Pulpit, Joshua Carney, 2015. "Christmas Eve: Light Has Shined," Jan Richardson, The Advent Door, 2015. Christmas Eve, Christmas Day, Sacredise, 2015. Defying Gravity and Other Thoughts for Christmas, Janet H. Hunt, Dancing with the Word, 2015. "Comfort Ye, My People," David F. Sellery, 2015. "Hot Cross Buns at Christmas?," Andrew Prior, 2015. Podcast. The Preacher's Study, Frank Logue, The Associated Parishes for Liturgy and Mission, 2015. Angels and Animals: Voices in Our Wilderness, Nancy Rockwell, The Bite in the Apple, 2015. The Nativity, Suzanne Guthrie, At the Edge of the Enclosure, 2015. "Shepherds Joy!" Thomas Beam, 2015. "To Make Our Love Braver," lectionary poetry, Scott Barton, 2015. "A Good Day to be Born," Karoline Lewis, Dear Working Preacher, 2014. "The Christmas Sermon I Need to Hear," David Lose, ...in the meantime... 2014. "Christmas at the Orphanage," Bob Stuhlmann, Stories from a Priestly Life, 2014. "Pondering Christmas Griefs," Andrew Prior, One Man's Web, 2014. "If I want to send a message..." Christopher Burkett, Preacher Rhetorica, 2014. Care for Creation Commentary, Dennis Ormseth, 2014. "Why an Incarnation?" curated responses by Tony Jones, #progGOD, An Open-Source Theological Conversation, 2013. "You Shall Be Led forth with Peace," "You Shall go Out with Joy," Peter Lockhard, a different heresy, 2013. "The Nativity," "Word Made Flesh," Suzanne Guthrie, At The Edge of the Enclosure, 2013. "The Holy Child," Nancy Rockwell, The Bite in the Apple, 2013. The Miracle of Christmas, David Sellery, 2013. Christian Leadership Center Commentary, Christmas Eve, Christmas Day, Richard O Johnson, 2013. Lectionary Notes, Christmas Eve, Christmas Day, Beth Quick, 2013. "Christmas in the Northeast Kingdom," Bob Stuhlmann, Stories from a Priestly Life, 2013. Why an Incarnation? various bloggers at Patheos, 2012. Liberal Lectionary Resources, Christmas Eve/Day, Nancy Kraft, 2012. "Christmas Eve," Nancy Rockwell, Bite in the Apple, 2012. Christmas Eve A / Christmas Day A 1 / Christmas Day A 2, Sacredise, John VanDeLaar, 2013. Christian Leadership Center Commentary: Christmas Eve / Christmas Day, 2012. "Christmas Eve," Robert Stuhlmann, Stories from a Priestly Life, 2012. "(Always) Entering Bethlehem (Again)," Larry Patten, 2012. "'The Most Tremendous Tale of All,'" The Journey with Jesus: Notes to Myself, Daniel B. Clendenin, Journey with Jesus Foundation, 2011. "The Eve of the Nativity of Our Lord Jesus Christ," Rick Morley, 2011. "Waiting Requires Trust," Enuma Okoro, "Bearing the 'Wait' of the World," Sojourners, 2011. "The Gift that Keeps on Giving," Sharron R. Blezard, Stewardship of Life, ELCA, 2011. "Three Christmas Gifts," Gretchen E. Ziegenhals, Faith and Leadership, 2011. "The Logic of the Incarnation," Debra Dean Murphy, The Ekklesia Project, 2011. 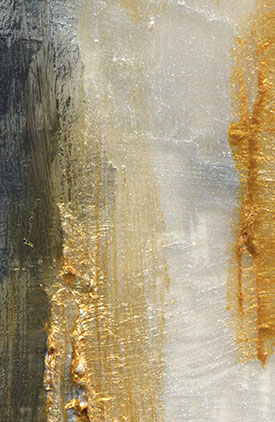 How the Light Comes, Jan Richardson, The Advent Door, 2011. Use of images. "K-Mart Angels," Melissa Bane Sevier, Contemplative Viewfinder, 2011. "Cradle the Child," Larry Patten, 2011. "Why the Incarnation Matters," Patheos Bloggers, 2010. "Level With Me," Alyce McKenzie, Patheos, 2010. "Whose Birthday Is It?" David Lose, Dear Working Preacher, 2010. "The Joy - and Ambiguity - of Christmas," Bruce G. Epperly, Patheos, 2010. Dylan's Lectionary Blog, Christmas Day A, B, C, 2008. Sarah Dylan Breuer. "How Silently, How Silently, The Wondrous Gift Is Given," The Journey with Jesus: Notes to Myself, Daniel B. Clendenin, Journey with Jesus Foundation, 2008. "A Time to Dance," by Jim Somerville. A Sermon for Every Sunday: video sermons from America's best preachers for every Sunday of the Liturgical Year. Wrecking Church, Anjel Scarborough, People of the Incarnation, Susan Butterworth, Sermons That Work, 2015. First Thoughts about Christmas Sermons, Frank Logue, Associated Parishes for Liturgy and Mission, 2013. "Making Room," the Rev. Canon Frank S. Logue, Sermons that Work, Episcopal Digital Network, 2013. "Did You Find What You Were Loooking For?" the Rev Anjel Scarborough, Sermons that Work, Episcopal Digital Network, 2013. DÃ­a de Navidad (A,B,C) – 2013, POR LA RVDA. MERCEDES JULIÃ�N, Sermones que Iluminan. "Emmanuel - a Christmas article," "The Innkeeper," Frederick Buechner. Christmas Day Homily, Christopher Burkett, PreacherRhetorica, 2012. "The Face in the Sky," Frederick Buechner. Nochebuena (AÃ±o C) por el Rev. IsaÃ­as A. RodrÃ­guez, DÃ­a de Navidad (AÃ±o C) por el Rvdo. IsaÃ­as A. RodrÃ­guez, Sermones que Iluminan, 2012. "Please Pass the Maple Syrup," Linda Fabian Pepe, Theological Stew, 2011. "Luminarias," the Rev. Dr. Scott Black Johnston, Day 1, 2006. "Sermon for Christmas Day," Bishop Steven Charleston, Day 1, 2005. Christmas Sermons, Pastor Edward F. Marquart, Grace Lutheran Church, Seattle, Washington. Sing with Joy, Weekly Seeds, UCC, 2016. Life in Liturgy, Christmas Eve/Day, 2017. Area 52, Engage Worship, 2015. Lectionary Liturgies, Christmas Eve, Christmas Day, 2016. Thom Shuman. Worship Resources, Rev. Mindi, 2016. LCA Worship Planning Page, Christmas Eve/Dahy, 2016 "Everything lay-readers need to prepare worship"
Mustard Seeds, Blue Christmas C, Christmas Eve C, Christmas Day C, 2015. Blue Christmas B, Christmas Eve B, Christmas Day B, 2014. Blue Christmas A, Christmas Eve A, Christmas Day A, 2016. A lectionary-based ideas resource for leaders of contemporary worship, Ann Scull, Gippsland, Australia. A Sung Communion Liturgy for Christmas Eve, Beth Quick, 2013. Interactive Christmas Service Eve Service: The ABC's of Christmas, Intergenerationa, Robb McCoyl, The Fat Pastor, 2013. Alternative Worship Ideas for Christmas Day, Year B, The Worship Closet, 2011. Worship Service (with optional Christmas drama) by Robert B. Kruschwitz, Christian Reflection, The Center for Christian Ethics at Baylor University, 2011. Christmas Liturgy, Rev. Bosco Peters, New Zealand. Adapting Christmas to the Southern Hemisphere. Liturgies for Christmas (Lessons and Carols on Christmas Eve, The Christ Mass on Christmas Eve, The Christ Mass on Christmas Day, ideas for Christmas Liturgies), Rev. Thomas L. Weitzel, Evangelical Lutheran Church in America. Laughing Bird Liturgical Resources, Nativity, by Nathan Nettleton, South Yarra Community Baptist Church, Melbourne, Australia. Prayers, blessings, Eucharistic prefaces and scripture paraphrases. 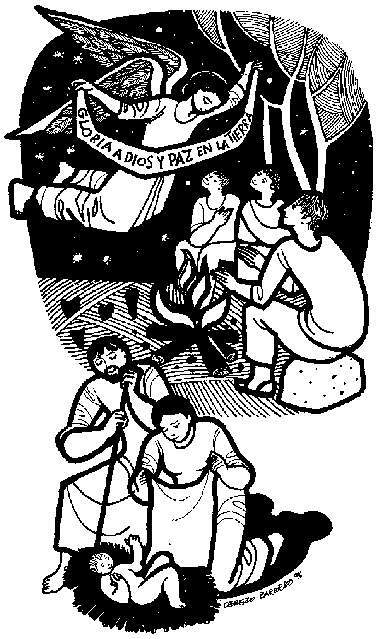 Resources: Based on the Revised Common Lectionary: Midnight Eucharist, Christmas Day, Prayers, Collects and Litanies by Bruce Prewer, Uniting Church in Australia. Introductions to lectionary readings for readers, Christmas Set I, Christmas Set II, Christmas Set III. Chris Haslam, Diocese of Montreal. The Billabong, Christmas Eve, Christmas Day, by Rev Jeff Shrowder, Uniting Church in Australia: Hymn suggestions and paraphrases of lectionary Psalms. Lector's Notes: Christmas Vigil, Midnight Mass, Mass at Dawn, Mass During the Day, Gregory Warnusz, Saint Jerome Parish, Bellefontaine Neighbors, MO. Notes and commentary for those reading this week's lectionary texts to the congregation. "A Prayer or meditation for use on Christmas Eve," "A Prayer for Use on Christmas Morning or the First Sunday after Christmas," Elli Elliott. The Timeless Psalms: Psalm 96, Psalm 97, Psalm 98, Joan Stott, prayers and meditations based on lectionary Psalms, 2015. Year A: Proper 1, Proper 2, Proper 3. Year B: Proper 1, Proper 2, Proper 3. Year C: Proper 1, Proper 2, Proper 3. Words for Worship, Amy Loving, 2012. The Timeless Psalms: Psalm 96, Psalm 97, Psalm 98, Joan Stott, prayers and meditations based on lectionary Psalms, 2016. Reflections on collect prayers, Christmas Eve, Christmas Midnight, Christmas Day, Bosco Peters, Liturgy: Worship that Works - Spirituality that Connects. Confession RCL, Christmas Eve Set 1, 2015. A Prayer for Christmas Eve, Andrew King, 2015. HermanoLeÃ³n Clipart, Christmas. Free clipart, backgrounds, slides, etc. Clip Art, Christmas, Fr. Richard Lonsdale, Resources for Catholic Educators. Christmas Eve and Christmas Day at Cerezo Barredo's weekly gospel illustration. Follows Latin American Roman Catholic gospel reading, though most gospels texts/themes are found in the index. Liberation emphasis. Mustard Seeds, Blue Christmas C, Christmas Eve C, Christmas Day C, 2015. Blue Christmas B, Christmas Eve B, Christmas Day B, 2014. Blue Christmas A, Christmas Eve A, Christmas Day A, 2013. A lectionary-based ideas resource for leaders of contemporary worship, Ann Scull, Gippsland, Australia. Kids Tell the Christmas Story, Episcopal Cafe, 2010. Illustration Images, Leah Chang, suntreeriver design, 2011. "What Christmas Brings," you tube video, Julian, Fiona, Vianne and Keiran, 2011. The Boy, a stunning film from the Reformed Church in Hungary, 2013. The Bairn in the Barn, Inclusive Christ, 2016. "Goat Herds," "The Light," "Indescribable Gift," Brenton Prigge, NewHymn, weekly new, relevant hymn set to traditional tunes. Specially written for use in the Southern Hemisphere. Hymns of the Spirit Three, Christmas Eve/Day, Richard E. Hurst, Universalist National Memorial Church. Hymn and Song Suggestions, Blue Christmas/Longest Night, 2011, annotated suggestions from Natalie Sims, Singing from the Lectionary. You Call That Church Music? alternative music planning blog for church musicians following the RCL (with videos), Ann Strickland, 2013. 2012 - Pt II. "Choral Music for Christmas" pdf, Mark J. Suderman, (other resources at) "Christmas and Epiphany Library," Christian Reflection, The Center for Christian Ethics at Baylor University, 2011. Big List of Christmas Carols, 2010, annotated suggestions from Natalie Sims, Singing from the Lectionary. Lectionary Hymns, Christmas Eve / Christmas Day, UMC GBOD. Shepherd Sounds, Nativity of Our Lord Jesus Christ. Background information for hymns and choral music following the lectionary from the Episcopal Church of the Good Shepherd, Austin, Texas, by Eric Mellenbruch and David Zersen. Lectionary Hymns, Vigil of Christmas, Solemnity of Christmas, National Association of Pastoral Musicians. Choral Anthem Project, Vigil of the Nativity, Midnight Mass, Solemnity of the Nativity - Dawn, Solemnity of the Nativity - Day, National Association of Pastoral Musicians. O Antiphons, Rev. Bosco Peters, Liturgy. Together to Celebrate, Christmas David MacGregor, Uniting Church in Australia. Contemporary Christian Music resources. Weekly Household Devotions, Faith Formation Journeys, 2017. Christmas Spiral Puzzle, Christmas Word Jumble, Charles Kirkpatrick, sermons4kids.com. Lectionary Puzzles: Christmas Proper I, Christmas Proper II, Christmas Proper III. Word search puzzles in RTF or plain text, by Reg McMillan, St.Stephen's Presbyterian Church, Peterborough, Ontario. Dollar Store Childrens Sermons, John Stevens, 2017. Cabbage Christingle, the Reflectionary, Fay Rowland, 2016. 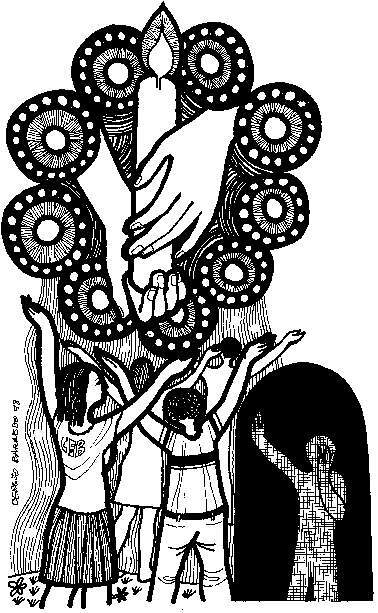 Worshiping with Children, Christmas Eve/Day, Including children in the congregation's worship, using the Revised Common Lectionary, Carolyn C. Brown, 2013. Why Children Need to Get To Church on Christmas Eve/Christmas Day. Birthday Button, Gift Box, LED Lights, John Stevens, Dollar Store Children's Sermon, 2015. Stories about Christmas Celebrations and Themes, Carolyn C. Brown, Worshiping with Children, 2010. Interactive Christmas Service Eve Service: The ABC's of Christmas, Intergenerationa Robb McCoyl, The Fat Pastor, 2013. "'Birds of Bethlehem' by Tomie DePaola," Rev. Kathleen Sheets, Presbydesterian. On the Chancel Steps, children's resources by Frances Woodruff, 2012. Christmas Childrens Sermons, the Rev. Edward Markquart, Sermons from Seattle. "The Neglected Gift," Charles Kirkpatrick, Sermons4kids.com. "By His Own Mighty Word He Holds the Universe Together," Sunday School Lessons: Family Bible Study, art projects, music, stories, etc. NaTVT4U - The Christmas Story in TXTSPK (script), the Reflectionary, Fay Rowland, 2016. "A Spontaneous Nativity," Rev. Mindi, Rev-o-lution, 2013. The Story of Christmas, Annal's Version. An Improvisational Pageant. Christmas Shopping for the King, Children's Christmas Play. Lisa Frenz, Mt Carmel Lutheran Church, Portland, Oregon. Dramatic Reading, John 1/Genesis 1, Theresa Coleman, reverend mommy's randon thoughts. "Signs and Wonders," An Interactive Christmas Eve based on Luke 2:1-20, Jim Hatherly.